To make the meatballs: Mix together the breadcrumbs and the water and leave to soak for 5 minutes. Mix together the mince, chopped onion, parsley, egg, spices, Worcestershire sauce and the soaked, drained breadcrumbs. Mix very well. 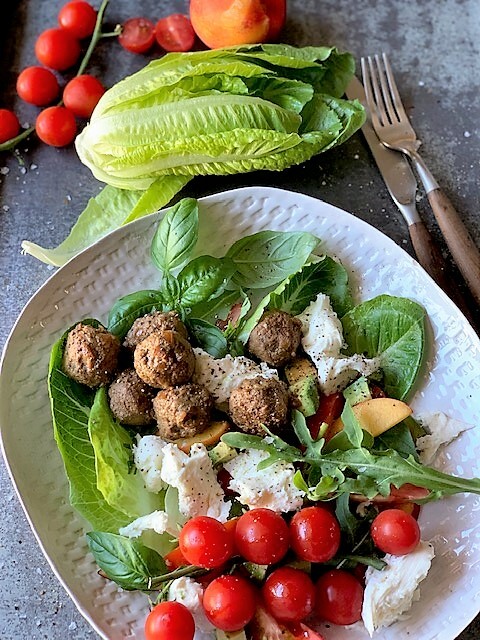 Shape the mixture into about small meatballs, each weighing about 35 g.
Assemble the salad (4 individual plates or 1 large platter), Drizzle the dressing over the salad and season. 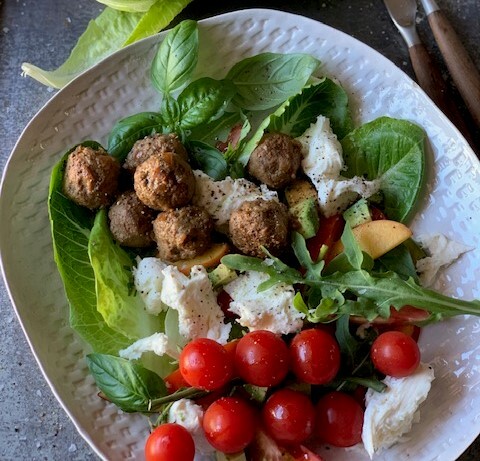 Eat with crusty bread for a fabulous light meal.